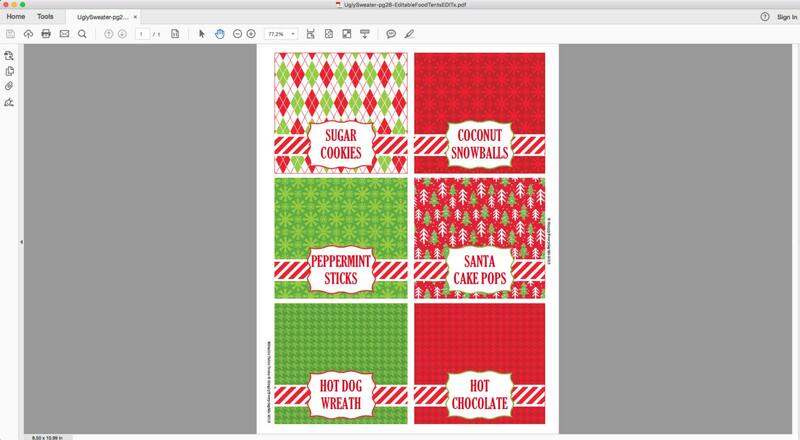 (¸.·´Personalize these Christmas/Ugly Sweater Food Labels or Name Place Cards - They're a festive addition to your party or event. 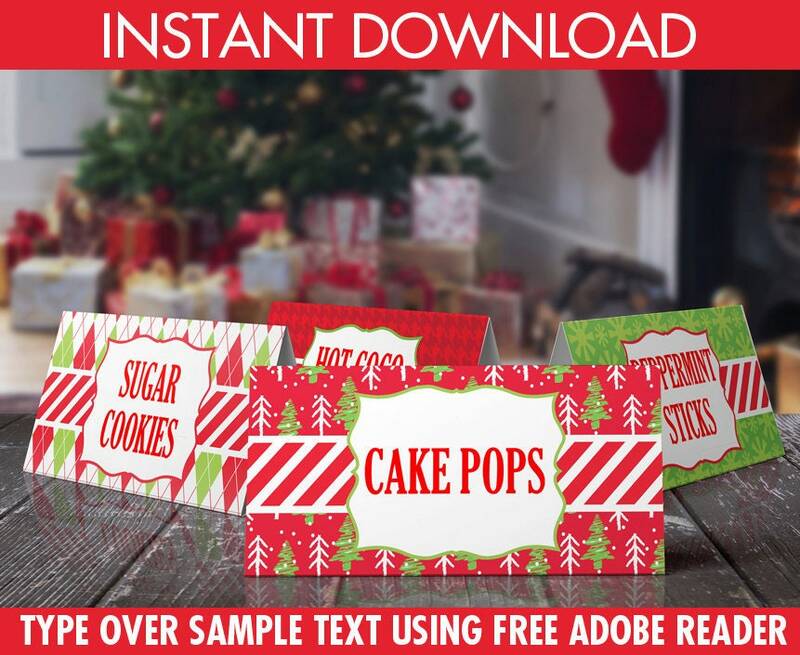 This PDF includes: TWO PAGES of Editable Food Labels on an 8.5” x 11” pages - One page has 2-lines of text... and... One page has 1-line of text ★Open your PDF with the FREE Adobe Reader, simply type your text. Invitations will ONLY work in the FREE Adobe Reader on a computer or laptop (they are not compatible with smartphones or tablets). 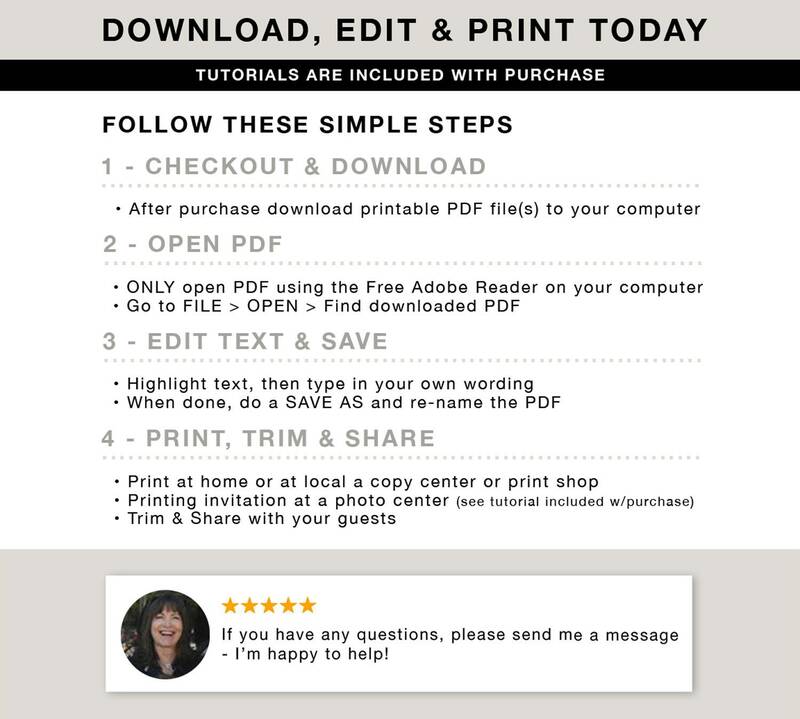 ★ Plus Information for materials need & paper suggestions ★ A tutorial for editing text in the FREE Adobe Reader. ★ These table tents are easy to edit, print, cutout and make a great addition to a party. This festive Thanksgiving Food Labels & Name Place Cards are a delightful way to continue the holiday theme! 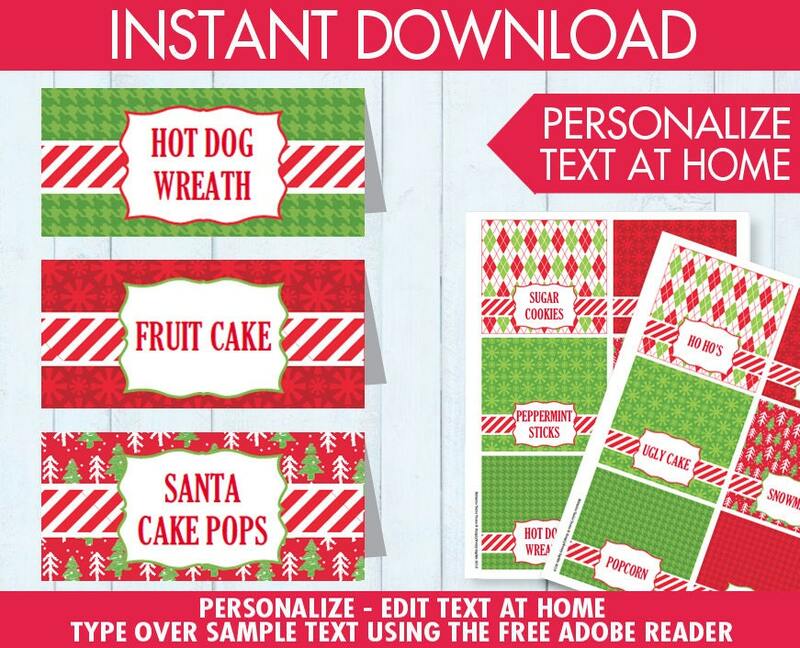 They're an easy way to personalize your party with your own text. 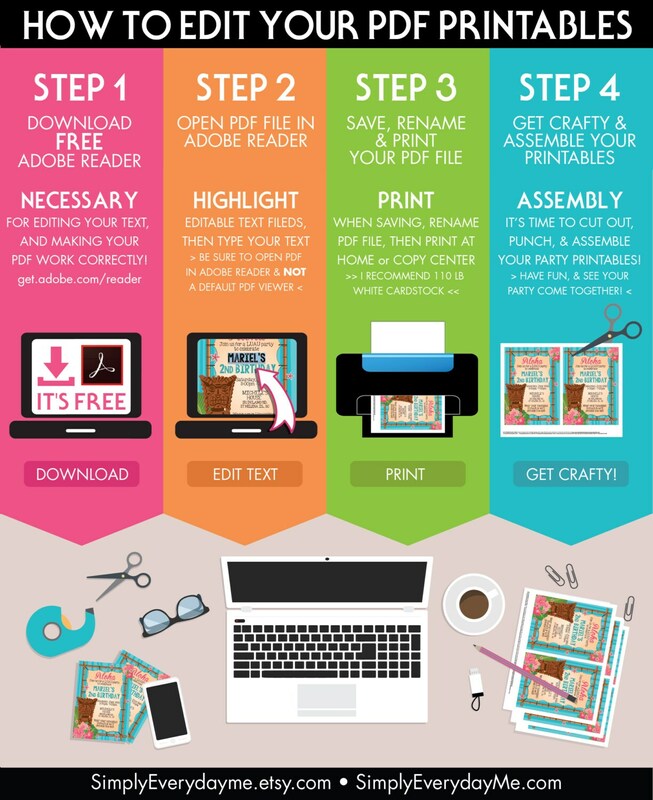 Simply download, edit text in Adobe Reader, print, cut to size, and you're done... They really are a piece of cake to make! Pretty download. Received very quickly. Many thanks.